I sold an Anatomical Heart necklace to a nurse a while ago. She told me she was going to use it as a reference to the real thing. Or for cheating in her Anatomy exams. Sweet. 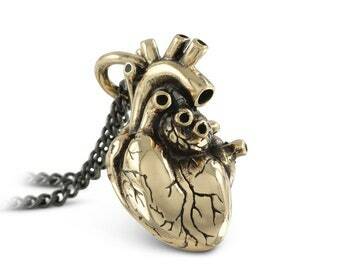 My Anatomical Heart is undoubtedly one of the most detailed and anatomically correct hearts you'll find. 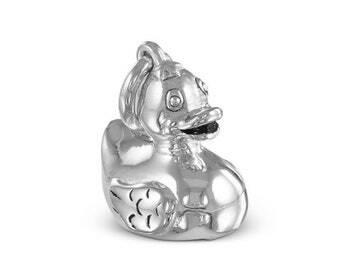 Now available in White Bronze with a thick Silver plate finish. Just like the original bronze version that is also in my shop, this heart is perfect in every anatomical detail - if it's the real thing you're looking for you may well just have found it. Beautifully weighted, the heart looks great from every angle, and hangs off a jump-ring which is itself looped through one of the heart's arteries. Any more real, this thing would be pumpin'. This piece took a ridiculously long time to get right, but I'm really happy with the way it turned out. It looked great in the original bronze, and now looks stellar in it's new silver finery too. This piece is a real treasure and a true Lost Apostle original, and it'll rock out on the dudes and the chicitas with a vivacity loud enough to make a grown man weep. Yours for the taking. The heart is 25mm long (not including the jump ring) and about 14mm at its widest point. The anatomical heart comes on your choice of chain or leather - all leather necklaces are adjustable and come with our signature Lost Apostle clasp (shown in the last photo). Absolutely gorgeous! I got it on a 32" antique sterling silver chain, and I absolutely love it to the moon and back! 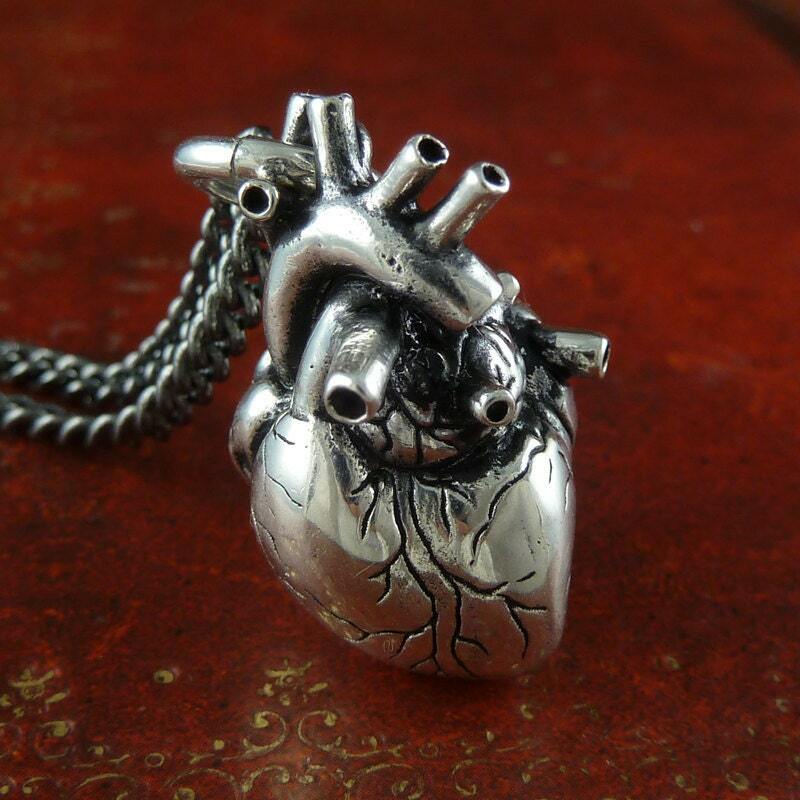 So much detail; I know nothing in the medical field but can say confidently that this is the most realistic and detailed anatomical heart necklace out there! I wear it every day and will continue to do so! Thank you so much LostApostle, you are incredibly amazing and talented!! This necklace was as beautiful as I imagined. Love it. Literally perfect - it's so detailed I could not believe it. Chain length and size what I expected as well.